The only thing worse than being ignorant is being ignorant of one’s ignorance. Such is the case when business owners and marketers experiment with every shiny new tool without diving into whether they qualify to use it. The new trend towards AI based email marketing is no different. There’s a process that requires thought, as much as it does for content marketing and search optimisation. So far, this has proven to be the most frequent oversight by marketers that are eager to experiment. The systems in place cannot withstand the new integrations, and this results in a loss of speed – the most critical aspect of email marketing. Content should be served from a content management system (CMS), with images stored logically, and an ease of access for the marketing teams. The systems will need to be able to collaborate with your email service provider and marketing tools. Taking the “free” plans of email service providers as a starting point, we have encountered many failed marketers that haven’t considered the investment that is required to elevate the impact of email marketing. Marketers need to shift mindsets to consider this channel as an essential investment for customer retention. 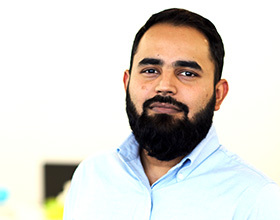 If you need access to success cases for justifying the expense, reach our chief media officer on sourav.ganguly@centric.ae or simply read our 800Flower case study which combined search with LTV email marketing. If the digital skills gap is far and wide, we recommend marketers get training wheels with machine learning tools. After getting the hang of it in a year, graduate to artificial intelligence with a combined gradual series of training programs for all departments involved with customer retention. Apply the rules of business logic and customer service to map out the types of emails that grow customer lifetime value. 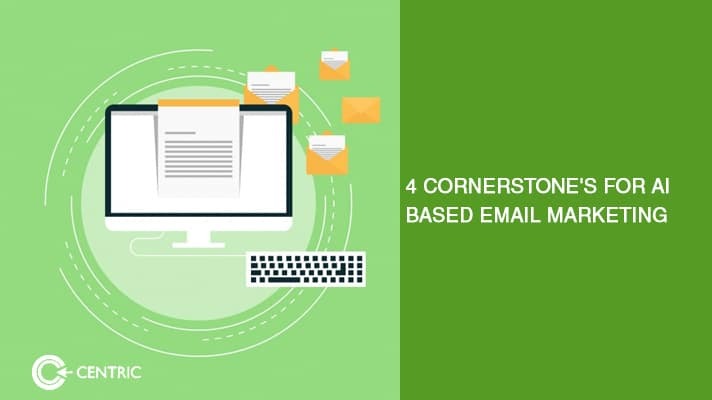 Make special note of the time the emails are sent, the copy (headline, subject line, footer, text, CTA, RTB etc), and place weightage on specific actions. Doing this on repeat for a year will naturally upskill the marketing team to handle the enormity of artificial intelligence. Without this, marketers experience their very own “Houston, we have a problem” moments. There are five essential A/B tests marketers should run. These obviously vary with your industry, product category, regulations, and campaign goals. Proceed as you see fit or request a meeting with our strategists. After ensuring that the above criterion for AI based email marketing are in place and success has been demonstrated, be sure to broaden the scope. With a solid foundation in place, machine learning and artificial intelligence work incongruity to deliver the most optimised returns on marketing investment. As the most effective (current) tool for extending customer lifetime value, email marketing deserves the very best in planning. For expert consultation in implementing the above, reach me on ahsan.khalid@centric.ae today.